So I have never bought the Amazon Kindle. When it first came out, I was curious but dubious. And I never found a full need for it in my life (this coming from someone trying to read 365 books this year). However, when Amazon released the Kindle as an App for use on smartphones, tablets and even computers, I found myself signing up for it and beginning my journey down ebooks. 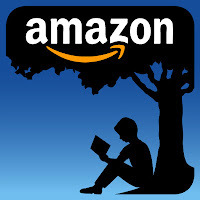 In the interim, I've bought over 850 ebooks on Amazon, but I have spent a total of $0.00. You read that right. I spent nothing, but now I have some 850+ books in my Kindle app (Note: When I started this blog post, I had about 800 but over the course of researching, I added 50 more books). 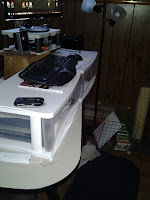 So it's been a year since I started doing the standing deskand I'm still a major advocate of it. In this post, I'll talk a bit about the experience over the last year and why I will probably continue to use the stand up desk. I initially started with my desk at home and liked the results. It ultimately led me to create what I can only an "active living room" instead of a passive living room. The standing desk was comfortable and I've found it even easier to slip in and out of the computer screen. This lead me to set up my own standing-desk at work. My first attempt was similar to my first attempt at home; mostly to try out before I invested some money into the project. But it was enough to get me put into the work newsletter when my friend snapped a picture of me and sent it to the editor. Misadventures in Social Media: What's It All About? This series of blog posts will focus on social media and my experiences, thoughts, challenges, and of course, mistakes in social media. It stems in part from trying to be reflective about what I do in the digital world just as much as I try to be reflective about what I do in the physical world. It also resonates with my Social Media Approach page in getting me to have more conversations about what it is we do when we step into the world of bits and bytes. So I came back to the US on May 31, 2013 in the evening but have been quite busy since I came home. I finally had a few minutes to reflect on my travels and bring this video journal to a close. I appreciate everyone that's been reading it and enjoying the videos. They were fun to make and experiment with and I hope they weren't too painful to watch! For those interested in reading my journal updates, you'll want to check out this link.For those interested in checking out my photos thus far, check out this link.For those interested in subscribing to the video updates, check out this link.